DIRECT FROM LOURDES - Baby Blessings Brooch with Swarovski Crystal. 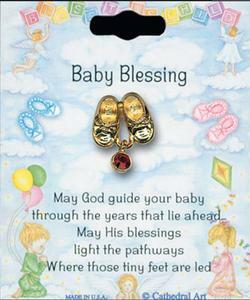 Baby Blessings Brooch with Swarovski Crystal. Baby Blessing brooch with swarovski crystal.